Every family with young kids will relate to this story about growing up and exploring the world. 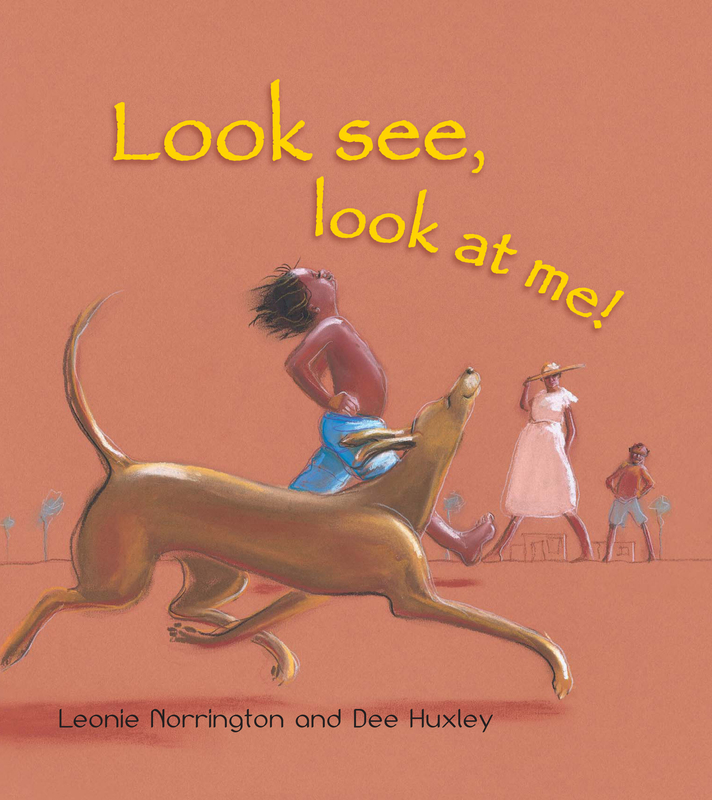 Perfect for 2-4 year olds, it features lively and engaging illustrations featuring Indigenous kids and a terrific read-aloud text. I'm so much bigger now I'm three. With its exuberant rhyming text and wonderful illustrations, Look See, Look at Me perfectly captures a child's everyday life and will be wonderful for sharing with your toddler over and over again. Leonie Norrington was born in Darwin, the third of nine children, and grew up at Barunga Aboriginal community, south of Katherine. Leonie works full-time as a journalist and writer. Her books include Woman's Talk, Under the Mango Tree, and Tropical Food Gardens. Her children's books include The Devil You Know, The Barrumbi Kids, Croc Bait, The Spirit of Barrumbi, The Last Muster (all published by Omnimbus/Scholastic) and her first collaboration with Dee Huxley, You and me: Our Place, published in 2007 by Working Title Press. Dee Huxley has been illustrating picture books for many years and is now one of the most popular and well-known illustrators in Australia. Her work is displayed in galleries nationally and internationally. She was shortlisted for the CBCA Picture Book of the Year Award for her illustrations in Mr Nick's Knitting in 1989, Rain Dance in 2001 and Tom Tom in 2009.